Flowers just have this special way of making you feel happy, and brightening up a room. It’s fairly easy to have them in the summer when flowers are in abundance, but not so easy in the depths of winter. 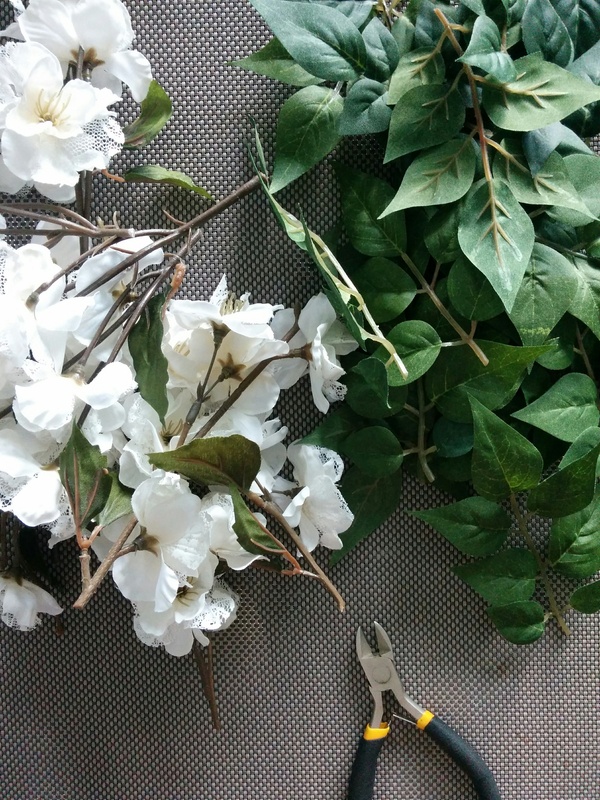 Today I’ll show you how to make a beautiful hanging floral garland with fake flowers that you can keep year round! 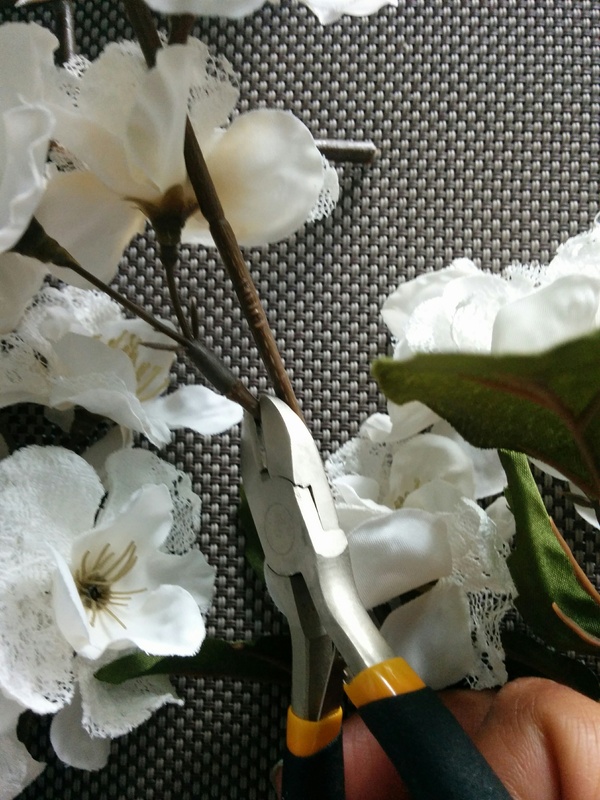 Using your wire cutters, cut each branch of flowers or greenery leaving at least 1″ of the stem. 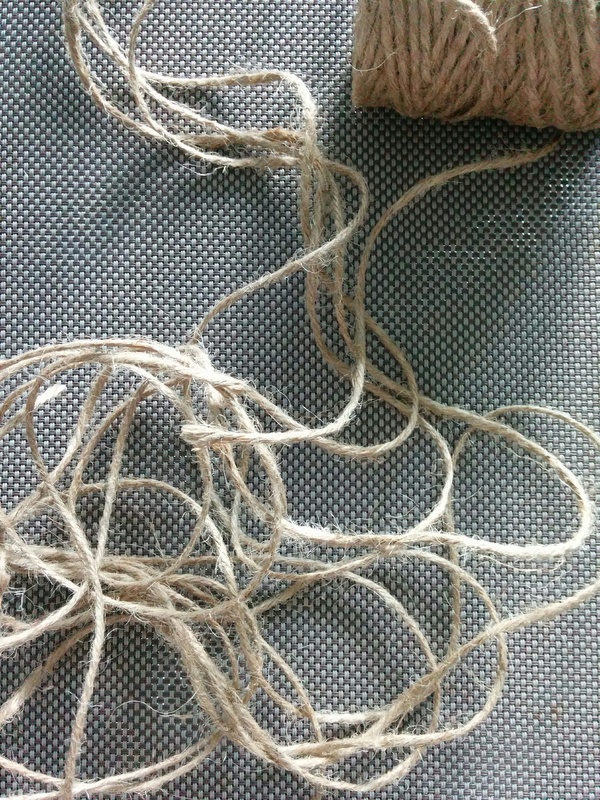 Cut the twine into 5 strands about 4-5 feet long. 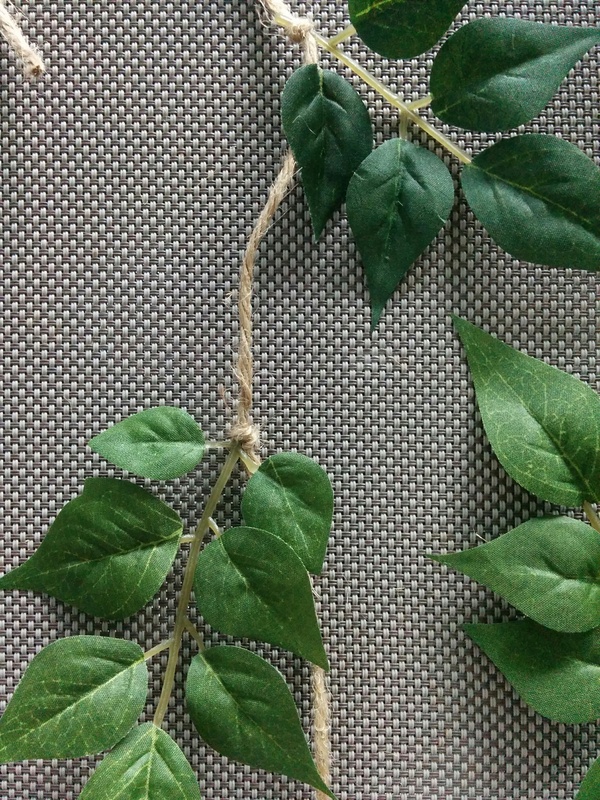 Tie a double knot in the twine around each stem. 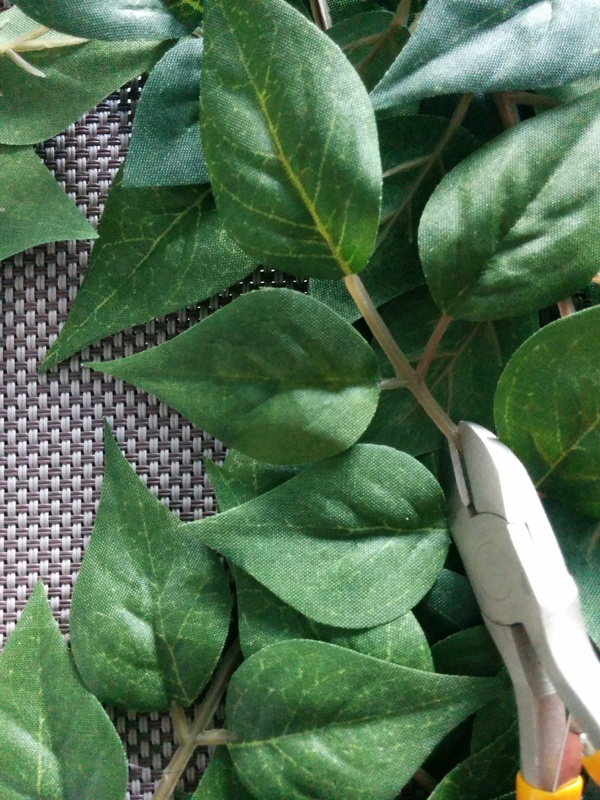 Just keep knotting and placing your leaves and flowers along the twine. It’s helpful to keep the same amount of space between them so it’s not too sparse or flower heavy in some sections. 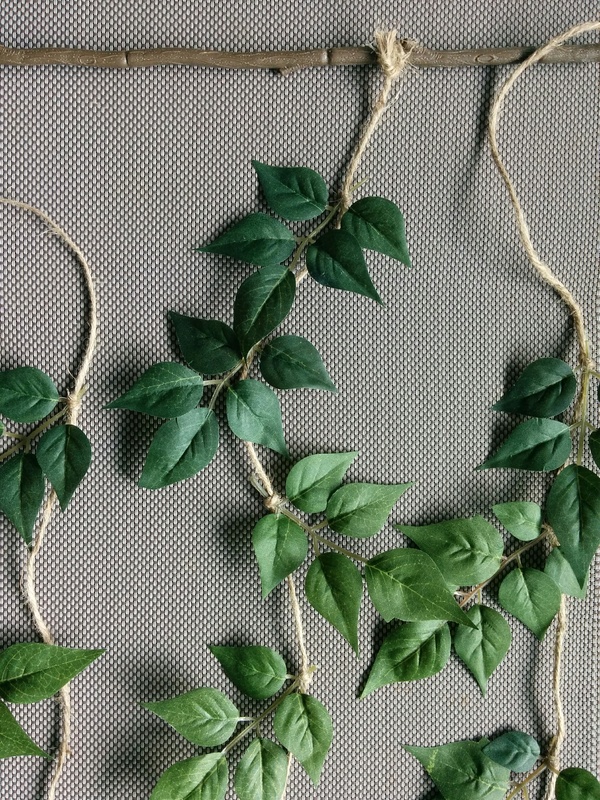 Tie the garlands to the branch, about 5″ apart. 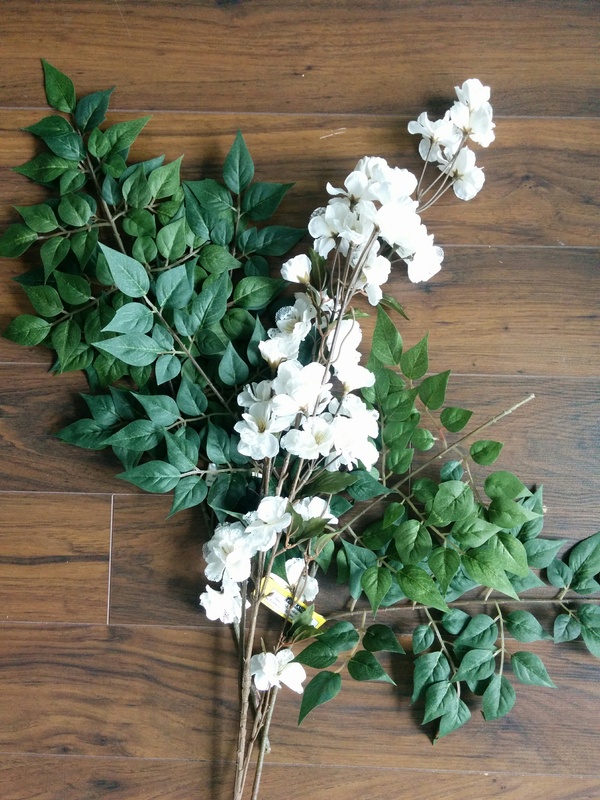 The flowers I bought had a really long stem, so this is what I used for my branch. Finally use a piece of twine to tie at each end of the branch.